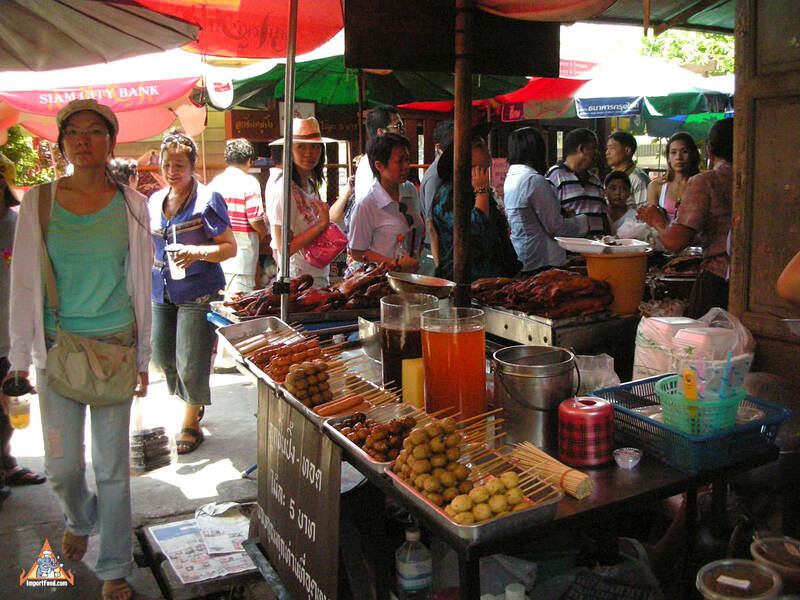 Next to a busy coffee vendor is a small corner meatball stand, each stick is just 5 baht (about 20 cents). So much food for sale in Thailand you have to be careful when walking. Shown here are sai oua sausages and juice cart glass container.